Welcome back to the Fez Museum! We hope that you’re having an excellent spring and enjoying your 2016. We come to you today with no less than 6 new fezzes in the museum! We’ve added a new fez to the Charitable Groups section, detailing a little known African American Fraternal body call the Lily White Security Benevolent Association. 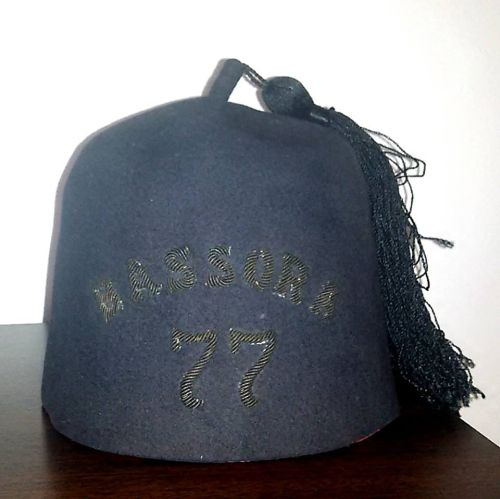 The Maccabees, one of the most well known fraternal bodies of the 20th Century weren’t known for wearing fezzes, but, thanks to a donation, we have one! 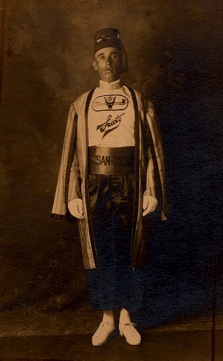 The Sons of the Desert, deveoted to comedians Laurel and Hardy, are a great fez wearing social body for fans. Recently revived, we bring you a fez from the Noble Order of Muscovites. The Ladies of the Orient are on the move as well, with two new additions to this section. We thank you for your visit and look forward to bringing you images of more fine fraternal millinery!